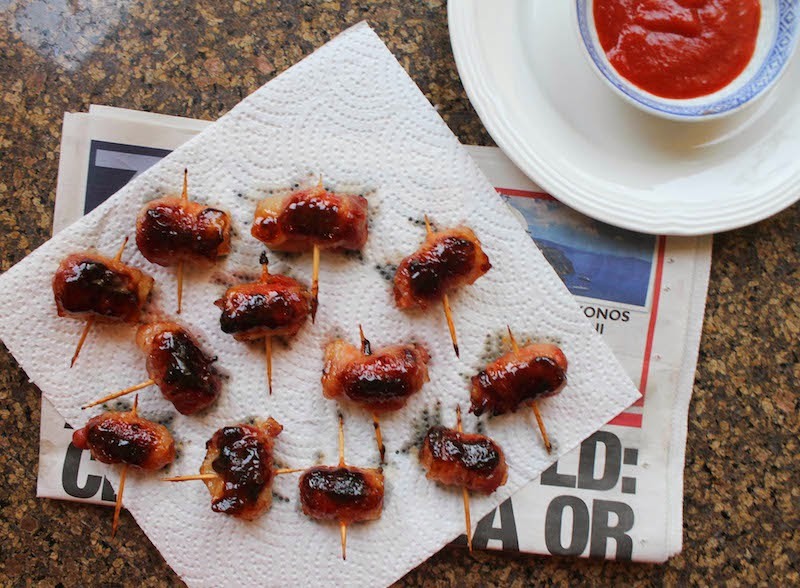 If you are looking for an easy appetizer that will disappear in record time, may I suggest chili sauce and bacon wrapped around little sausages then topped with brown sugar and baked till sticky? This recipe is easily doubled or trebled. The only limiting parameter is the size of your baking pan because you don’t want to crowd them in too tightly or the bacon won’t get crispy. I was home alone so I just made a dozen. At a time. Ahem. 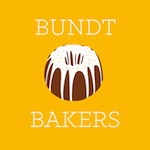 The photos you see here are actually batch number two. The package of cocktail sausages was 300g so it didn’t take me long to get through them all. 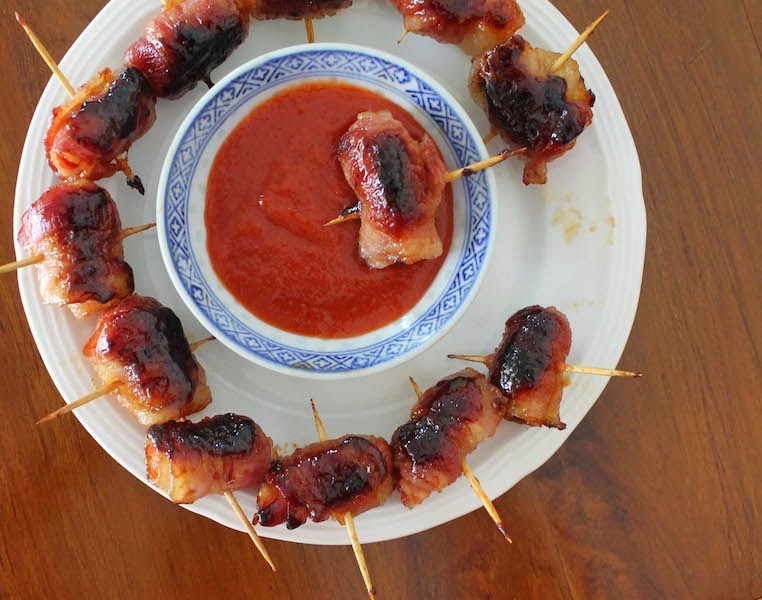 It is hard to resist these sweet and spicy bacon-wrapped morsels once you've tried them the first time. Welcome to Week Three of Bacon Month! We’ve got another great cookbook giveaway for you, Seduced by Bacon*, courtesy of Bacon Month organizer, Julie from White Lights on Wednesday. 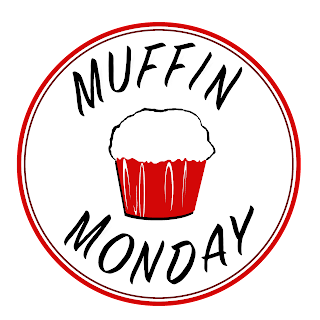 So make sure to scroll down to enter and check out the rest of Week Three’s wonderful recipes from my fellow Bacon Month bloggers. 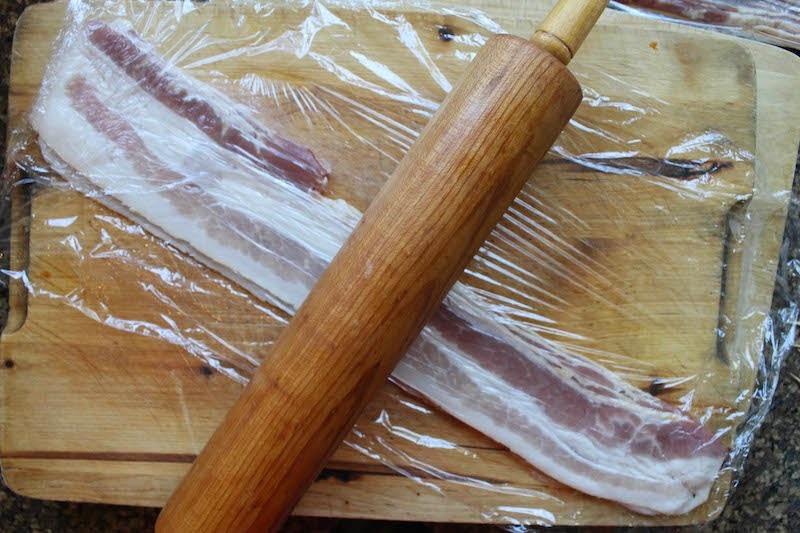 Put your bacon slices between two pieces of cling film and gently roll them out with a rolling pin from end to end. 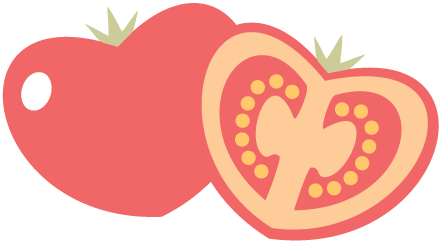 You can do a couple of slices at a time. This will stretch them so that they are even thinner so each little sausage can still be rolled in bacon twice around but it will still bake up crispy. 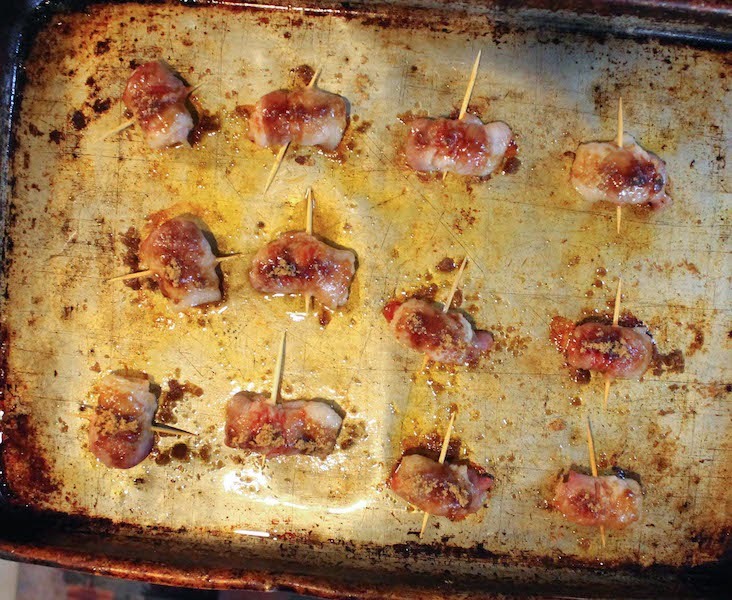 Smear a little chili sauce on one end of each piece of bacon. Roll them around the cocktail sausages and secure with a toothpick or, if you are feeling fancy, call them cocktail sticks. 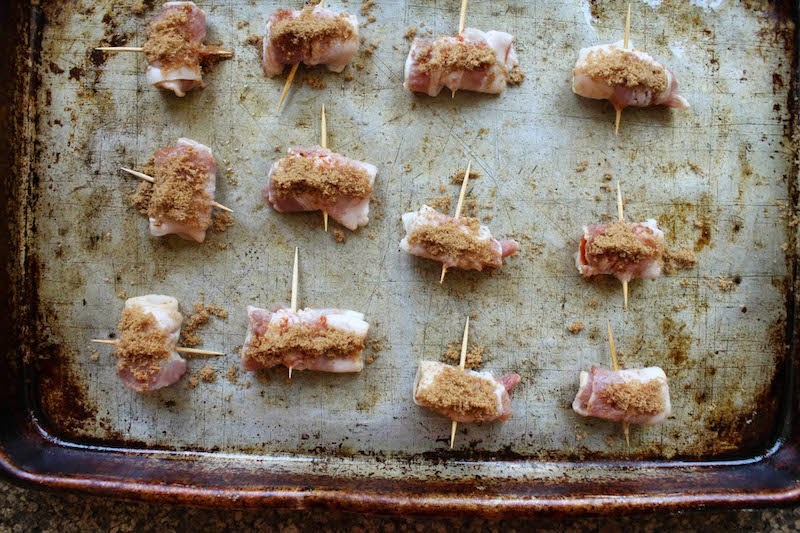 Lay them out in a big baking pan and sprinkle on half the brown sugar. 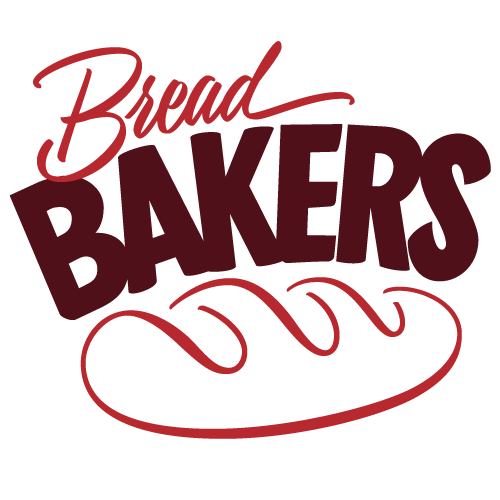 Bake for six or seven minutes and then remove from the oven. Turn the sausages over and sprinkle on the balance of the brown sugar. Cook for about six to seven minutes more or until the bacon looks crispy enough for your liking. Remove from the pan and rest them briefly on paper towels to drain the fat away. I tend to use one sheet of paper towel (so the newsprint doesn’t get on the food) with newspaper underneath. 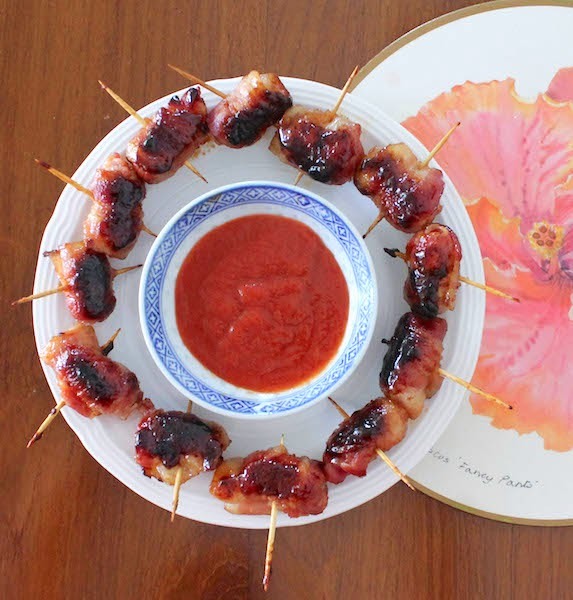 Serve with extra chili sauce for dipping, if desired. It’s a must at our house. 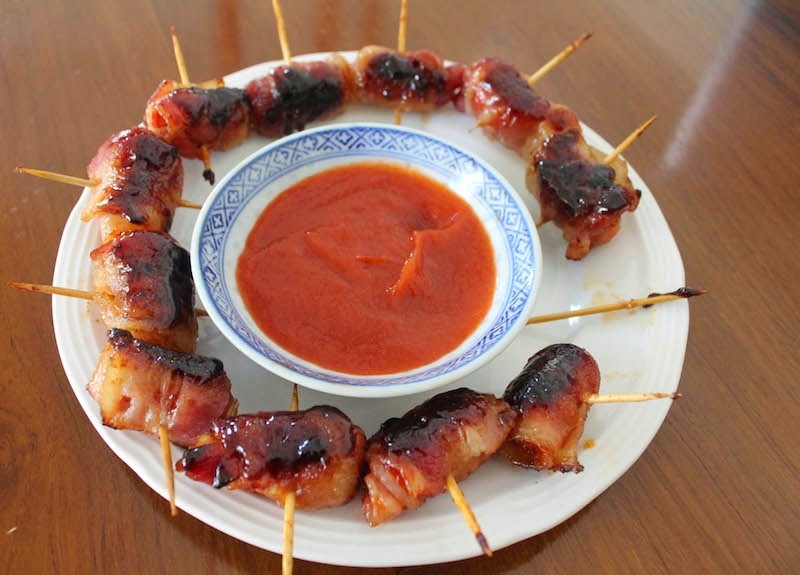 Check out all the fabulous bacon recipes! I want to make every one of them! You try to take photos without snitching one! Can't be done.